This low maintenance, one level house is ready to move into with all appliances included. Located in Green Meadows, a well established East Asheville development on a quiet cul-de-sac in the desirable Bell Elementary and AC Reynolds High School districts. Very affordable with county taxes and city services, and no HOA! Convenient to downtown Asheville, hospitals and shopping. No restrictions, VRBO potential! I have a question about the property at 2 Primrose Lane Asheville NC 28805 (#3452790). I would like to schedule a visit for the property at 2 Primrose Lane Asheville NC 28805 (#3452790). This quaint cottage in the heart of Morningside is a unique opportunity for both families and developers. The house itself is constructed from solid granite blocks with lath and plaster walls. It features three bedrooms, one bathroom, a partially finished basement, and an attic with ample storage space. The metal roof was redone five years ago and is guaranteed for forty years. In the past year, a high-efficiency natural gas furnace and gas logs were installed - installing a gas range and water heater would be a snap for prospective owners, if desired. A mere mile from the shops, restaurants, and breweries of Haywood Rd, this property sits on a dead end, in one of the most picturesque and peaceful neighborhoods in West Asheville. Features convenient access to Gassaway Park, the Hominy Creek Greenway, the WNC Farmer's Market, Asheville Outlets, and both major interstates. The house sits on new Lot 5 and consist of +/-.15 acres. I have a question about the property at 87 Talmadge Street Asheville NC 28806 (#3488927). I would like to schedule a visit for the property at 87 Talmadge Street Asheville NC 28806 (#3488927). Come and see this meticulously maintained home in a quiet neighborhood in the convenient Oakley area. This home sits on a lovely corner lot, has two driveways and a fenced back yard. Inside you find beautiful hardwood floors, vaulted ceilings, granite countertops, fresh paint throughout, new carpet in the bedrooms and so much more. The lower level has a large family room with an outside entrance, a bonus room/office with a closet, a double garage and plenty of storage space. HVAC system is 2 years old, ductwork has been professionally cleaned recently, they have maintained a termite bond on the home since they purchased. These owners have taken excellent care of their home and it shows! 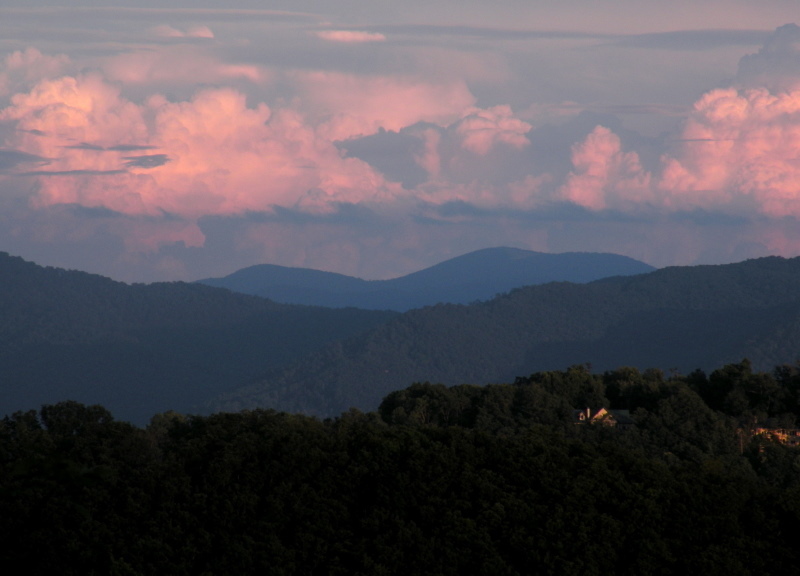 Located only minutes from all that downtown Asheville has to offer, Biltmore Village and the Biltmore House. The property is so convenient to shopping, schools and hospitals. Come and see this wonderful home today! I have a question about the property at 107 Ashwood Lane Asheville NC 28803 (#3494601). I would like to schedule a visit for the property at 107 Ashwood Lane Asheville NC 28803 (#3494601). Motivated Sellers! *Brand new roof February 2019* One-level living on a private half acre of land in a convenient Oakley location within walking distance to Ray Kisiah Park. The large, level yard features Japanese Maples, Azalea, Magnolia trees, apple trees, pear trees, and plenty of area to garden. The carport has been converted into a 4th room right off the living room. Lots of updates have been made to this great home only 10 minutes to downtown Asheville restaurants, shopping, and Mission Hospital. Located just outside Asheville city limits, this could be a great short-term rental property without Asheville city restrictions or taxes! I have a question about the property at 528 Onteora Boulevard Asheville NC 28803 (#3452335). I would like to schedule a visit for the property at 528 Onteora Boulevard Asheville NC 28803 (#3452335). I have a question about the property at 28 Clove Bud Court Asheville NC 28803 (#3480469). I would like to schedule a visit for the property at 28 Clove Bud Court Asheville NC 28803 (#3480469). This beautifully finished, end unit townhouse is conveniently located in a small N. Asheville community. It features 3 stories with access through a cute front porch at street level or lower level garage accessed from the back. A bright, open floor plan greets you on the main level with a cozy fireplace in the family room, through to the open dining space, and continuing to the large, stainless steel/granite kitchen with breakfast bar. There is also a small terrace off the kitchen, perfect for potted herbs, a half bath and laundry that finish off this level. Upstairs are two spacious master suites with thoughtfully furnished baths, big closets, and a small bonus room/office space. The lower level accommodates an oversized two car garage, utility room, and additional space for a workshop or storage. This home has been meticulously maintained. All mechanical systems and appliances were installed in 2015 so this home will be low maintenance and is move-in ready! I have a question about the property at 33 Walnut Springs Drive Asheville NC 28804 (#3490572). I would like to schedule a visit for the property at 33 Walnut Springs Drive Asheville NC 28804 (#3490572). Location, Location, Location! Classic ranch style home in the heart of West Asheville. Located less than a mile to Haywood Road, great restaurants and pubs. This unique 3BR/1BA home sits high on a private corner lot, offering open winter views. Sit back and enjoy the outdoor space with a fully fenced in yard, stone patio with built-in firepit and raised garden beds ready for cultivation. The spacious unfinished basement is ideal for indoor projects and storage or could be finished out to create a large family room. This home has tons of potential! I have a question about the property at 15 High Court Entrance None Asheville NC 28806 (#3485766). I would like to schedule a visit for the property at 15 High Court Entrance None Asheville NC 28806 (#3485766). LOCATION! PROXIMITY! PRICE! POTENTIAL! Rarely does something like this hit the market. An updated and spacious home only 2 miles to UNCA and I-26, but outside Asheville City limits. Have you been thinking about a short-term rental (STR or VRBO)? Do the math on the income potential! Close to Richmond Hill Disc Golf Course and trails! Full basement with potential to add additional living space. Enjoy a sweet deck overlooking a rolling back yard, wonderful peace and privacy with an abundance of wildlife and woods at your back door. Almost no traffic towards the end of the cul-de-sac and a fenced yard make this an ideal setting. This home is fantastic for entertaining, with an open, airy great room and spacious kitchen. I have a question about the property at 103 Mockingbird Circle Asheville NC 28806 (#3480543). I would like to schedule a visit for the property at 103 Mockingbird Circle Asheville NC 28806 (#3480543). Looking for a peaceful setting yet still close to everything? Look no further! This charming home is only 4 miles to downtown Asheville, 2 miles to Biltmore Village, and 2 miles to South Asheville AND walking distance to Ray L. Kisiah park. This is a new home built in 2016 with granite countertops, hardwood floors, and stainless steel appliances. Enjoy a spacious, fenced in backyard that is great a for children and pets. Beautiful mountain views. Don't miss the opportunity to own this property in a super convenient location and a wonderful neighborhood. Come see it today! Listed by Kevin Roberts of J D Jackson Associates, Inc. I have a question about the property at 74 West Chapel Road Asheville NC 28803 (#3484348). I would like to schedule a visit for the property at 74 West Chapel Road Asheville NC 28803 (#3484348). Ranch-style home on a cul-de-sac. Three bedrooms, two bath and an office. Great room with cathedral ceiling and skylights attaches kitchen, dining and living room. Three bedrooms with two full baths and a garage converted to office space or playroom. Master bedroom has huge walk-in closet. Large screened-in back porch and private fenced-in backyard with shed on property. Plenty of storage space. Large front deck. This house is ready for someone to make their own. I have a question about the property at 323 Heather Court Asheville NC 28804 (#3476469). I would like to schedule a visit for the property at 323 Heather Court Asheville NC 28804 (#3476469). I have a question about the property at 55 S Market Street Asheville NC 28801 (#3362013). I would like to schedule a visit for the property at 55 S Market Street Asheville NC 28801 (#3362013). Energy efficient one level ranch home on a working mini-farm, with separate pens...just minutes from Downtown Asheville! Tons of storage space in multiple outbuildings and a private backyard that requires minimal maintenance. You'll want to move right in and enjoy the natural lighting provided by multiple large windows. This home is handicap accessible and has been modified to suit a wheelchair. Two beautiful wood burning fireplaces ( living and family room) make a cozy winter evening and the fenced in yard provides a great setting for a summer bonfire with friends and family. Bring the animals with you. Located in a small community with peace and quiet. Come watch the Dogwood and Japanese Maple trees spring forth! I have a question about the property at 40 Moody Road Asheville NC 28806 (#3481385). I would like to schedule a visit for the property at 40 Moody Road Asheville NC 28806 (#3481385). I have a question about the property at 32 Caledonia Road Asheville NC 28803 (#3433279). I would like to schedule a visit for the property at 32 Caledonia Road Asheville NC 28803 (#3433279). Super cute, super clean, move-in ready in Oakley. This 3 bdrm, 1.5 bath 1100SF home has all new stainless appliances, new HVAC, new main level flooring. The covered wrap-around porch beckons you to hang out outside, easy entertaining, space for craft work, and room for pets to play, sleep, or roam from porch to the fenced back yard. Investor alert: RENTAL potential $1500-1700/month! Large master with cathedral ceiling brings in great light. 3 bedrooms upstairs with jack-n-jill bathroom. Half bath on main level. Garden space, fruit trees: blueberry, peach, pear, and fig. Walk to Hillman Brewery and Biltmore Village. Easy access to downtown Asheville, River Road, I-40 and I-240. Owner, realtor. I have a question about the property at 91 East Street Asheville NC 28803 (#3481755). I would like to schedule a visit for the property at 91 East Street Asheville NC 28803 (#3481755). Unique RENOVATED 2 story 2 BDRM, 2.5 BA Condo - (see complete list - Attachments) Beautifully transformed home w/ new fixtures, hardware, flooring (carpet & Coretec Plus ), appliances, hot water heater, closet doors, gas line (cooktop & F/P), attic insulation, granite countertops, paint, removal of popcorn ceilings, fans, Dehumidifier in crawl space, and so much more. All this nestled on a cul-de-sac area of park-like grounds. Kitchen is spacious with lots of counter space & built in deep pantry. In the Evening, rest on the screened-in-porch & listen to the peaceful, bubbling creek. This is an over 55+ community w/ active social clubhouse, pool, walking trails, community garden, and just minutes from groceries, fitness centers, medical facilities. Unit is in a flood zone but HOA doesn't provide flood ins. at this time, seller would prefer CASH offer. Buyer may purchase separate flood ins. HOA included water, sewer, yard condo maintenance, street lights, road care and more. I have a question about the property at 610 Crowfields Lane Asheville NC 28813 (#3493403). I would like to schedule a visit for the property at 610 Crowfields Lane Asheville NC 28813 (#3493403). Bungalow style home just inside Biltmore Forest featuring hardwood floors and a beautifully landscaped .32 ac corner lot. Arched doorways add charm to this quaint, light-filled home. The kitchen looks out over a large, covered back deck for cool summer breezes. Unfinished basement has a one-car garage , the washer + dryer, outside door to the driveway - space available for storage and/or added square footage. Home could be expanded.New AC. Quick access to Hwy 25 to zoom off to Asheville attractions which are all close by. No rentals shorter than 6 months. I have a question about the property at 4 Ridgefield Place Asheville NC 28803 (#3479159). I would like to schedule a visit for the property at 4 Ridgefield Place Asheville NC 28803 (#3479159). Beautiful 1920's home located in the heart of West Asheville. 2 bedroom, updated bathroom, original pine and oak floors and spacious living area. Fenced in backyard with workshop fully equipped with electricity plus a bonus shed also with electric. Large front porch great for entertaining or just lounging. This convenient location has lots to offer for entertainment with Biscuit Head, One world Brewing and Carrier Park close by. Brand new roof. Don't let this one pass you by, schedule your showing today! I have a question about the property at 169 Montana Avenue Asheville NC 28806 (#3448209). I would like to schedule a visit for the property at 169 Montana Avenue Asheville NC 28806 (#3448209). I have a question about the property at 9 Charles Street Asheville NC 28801 (#3448786). I would like to schedule a visit for the property at 9 Charles Street Asheville NC 28801 (#3448786). RARE Opportunity in centrally located The Cloisters for an END UNIT 3 BEDROOM 1 Story Townhome style with oversized, secured, private garage with large storage. Units here rarely become available and the location is PRIME for easy living. POOL, Tennis Courts and Clubhouse too! One of the FEW larger units in complex, this unit awaits your personal updating touches, and the privacy, attached screened sunroom and patio will totally make it yours. LIGHTLY used as an occasional getaway place this home will go fast. Plan to see NOW! Last unit (smaller, middle, no private garage) went under contract in 5 days! NO DOGS ALLOWED. Cats are purrfect. I have a question about the property at 4001 Angelus Circle Asheville NC 28805 (#3492976). I would like to schedule a visit for the property at 4001 Angelus Circle Asheville NC 28805 (#3492976). Treat yourself to a newly renovated low maintenance house! One level, 3 bedroom 2 bath, single car garage home in super convenient Haw Creek area. New roof, new covered front porch with railing, new siding and window shutters, new HVAC, new bathrooms include walk-in tile showers, floors are newly refinished, closet systems throughout, new cordless blinds, new washer/dryer included, new back deck with plumbed natural gas line for the grilling chef in the family, new asphalt driveway, new kitchen appliances with gas range. Super convenient location. The entire lot is fenced with gate access in driveway. Listing Agent is Co-Owner. I have a question about the property at 7 Waters Road Asheville NC 28805 (#3454435). I would like to schedule a visit for the property at 7 Waters Road Asheville NC 28805 (#3454435). Great home in a wonderful neighborhood, split level with a partially finished lower level of 420 sq ft not contiguous. Large kitchen and a separate dining room with a sliding door to the back deck for ease in bringing in the steaks off the grill. Living room has a fireplace that has never been used. Includes a AHS home warranty. I have a question about the property at 7 Jean Drive Asheville NC 28803 (#3490029). I would like to schedule a visit for the property at 7 Jean Drive Asheville NC 28803 (#3490029). modern two bedroom one and a half bathroom apt in beautiful Village on Haywood condominium in west asheville. Modern layout with open floor plan, kitchen island, stainless steel appliances, granite counter top, wood floors, 2 balconies and a utility room. assigned parking on site. I have a question about the property at 915 Haywood Road Asheville NC 28806 (#3487508). I would like to schedule a visit for the property at 915 Haywood Road Asheville NC 28806 (#3487508). If you want new(er) construction, LOOK NO FURTHER. This home was taken to the studs and lives and looks like brand new construction! Don't overlook this amazing property! Beautiful newly remodeled home on a great lot in convenient North Asheville location. This charming move-in ready cottage is the perfect place to call home. This single-level home has an open floor plan and two large bedrooms. There is plenty of room inside and out to entertain. You will love the charming updates and the high end finishes throughout. Book your appointment today, this home will not last! Less than ten minutes to downtown Asheville and less than a mile to the French Broad River. I have a question about the property at 29 Church Road Asheville NC 28804 (#3475595). I would like to schedule a visit for the property at 29 Church Road Asheville NC 28804 (#3475595). I have a question about the property at 9 Kenilworth Knoll Asheville NC 28805 (#3494190). I would like to schedule a visit for the property at 9 Kenilworth Knoll Asheville NC 28805 (#3494190).